By admin , in Plantar Fasciitis on January 26, 2019 . Are Plantar Fasciitis and Bone Spurs The Same Condition? For nearly 30 years, plantar fasciitis was misdiagnosed as heel spurs and many doctors still base their treatment on this misconception. 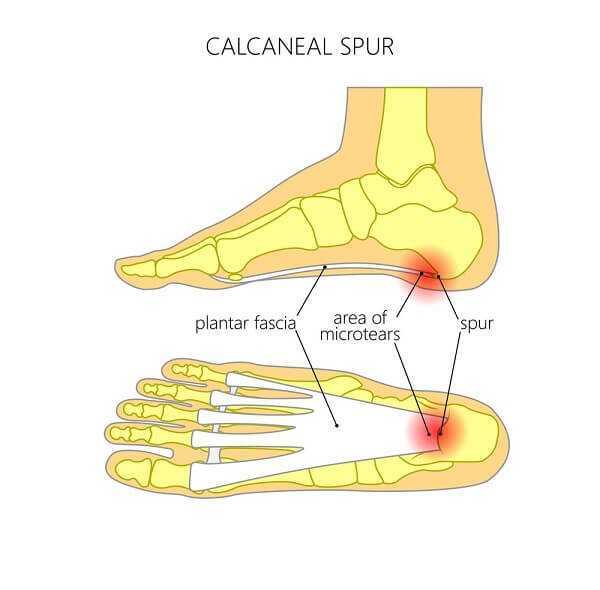 The connection between plantar fasciitis and bone spurs is this – they are often present at the same time in a patient who presents with foot pain that is centered in the heel area. 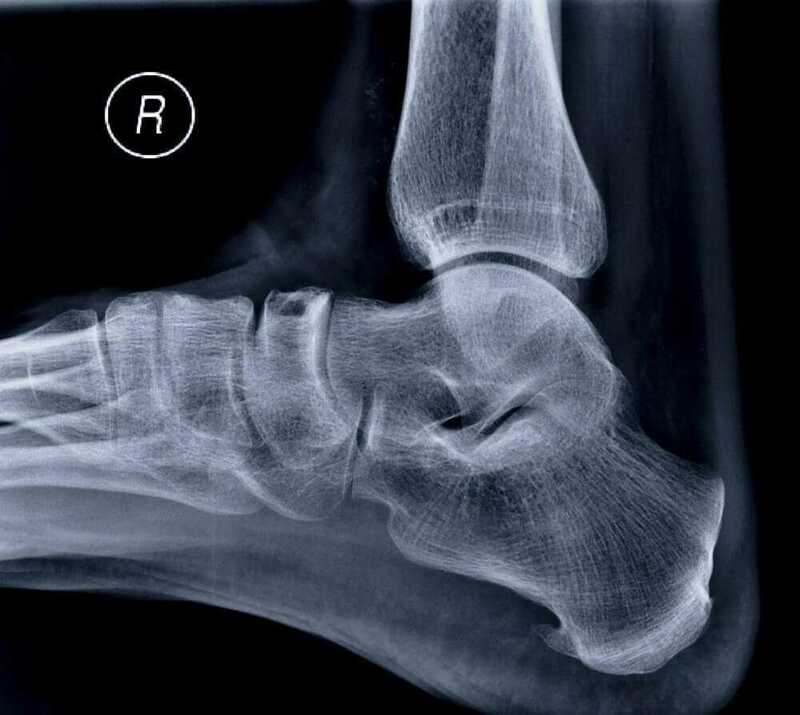 The fact is that bone spurs are an incidental finding during an x-ray to find the cause of the patient’s heel pain. A bone spur is a calcification that has developed on a bone; in the case of a heel spur, this bone is the heel bone or calcaneus. It is now believed that it is the condition of plantar fasciitis which causes the heel spur, not the other way around. It is also the plantar fasciitis that causes the heel pain, not the bone spur. 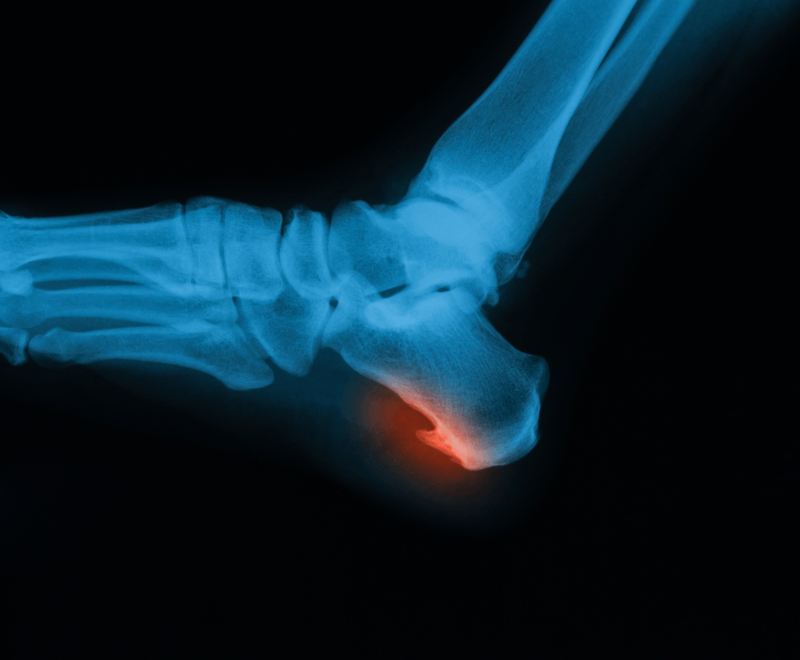 Many people have heel spurs but don’t feel any pain because of it. People who have heel pain and have a heel spur can be assured that the heel spur isn’t the cause of the pain. The pain comes from the inflammation of the large ligament that supports the arch of the foot; this is called the plantar fascia. The inflammation is caused by strain on the ligament, causing tiny tears where it joins the heel bone, which then become inflamed. When an imaging study like x-ray, scan and MRI, show the presence of a heel spur and plantar fasciitis has been diagnosed, the patient may be told they have plantar fasciitis/heel spur syndrome. This diagnosis shows the relationship between the two conditions; they are related but are not the same problem. Around 75% of plantar fasciitis patients will be found to have a heel spur, but the exact implication of the relationship of the two conditions isn’t yet fully understood. The treatment methods for both plantar fasciitis and bone spurs are much the same and are aimed at relieving the main symptom, heel pain. Rest is the foremost treatment option; it is important to get off your feet to allow the inflammation of the plantar fascia to ease. To help this happen, ice packs applied to the arch of the foot help to lessen the pain and inflammation and will bring fast relief. Medication can also help to relieve both the inflammation and pain in the early stages of the condition. NSAIDs or ant-inflammatory drugs, either over-the-counter or prescription, are the best to achieve this. Other treatment options that help to prevent recurrence include arch supports, specialized footwear, night splints or braces, not wearing old or badly-fitting shoes or slippers and not walking around with bare feet. Click “Medications Used for Plantar Fasciitis” for more information. 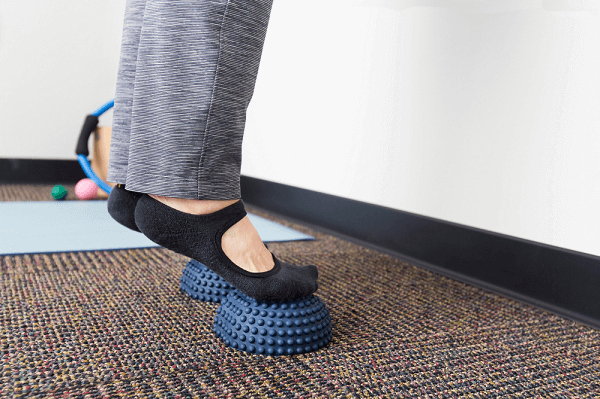 After the initial severe pain has subsided, it is important to start doing some specific plantar fasciitis/heel spur syndrome exercises and stretches every day. Put two short exercises sessions in place and you will see a great improvement in the level of pain. These exercises are aimed at gently stretching the plantar fascia, Achilles tendon at the back of the heel and the calf muscles and strengthening the muscles of the foot and ankle. Gentle foot flexing before getting out of bed helps dramatically in alleviating the severe pain felt when taking the first few steps in the morning or after a lengthy time sitting down. Surgery is a last resort for plantar fasciitis but it is the only way to remove heel spurs permanently. However, in most cases, conservative treatment is successful in relieving the symptoms of plantar fasciitis and bone spurs.